Edward James Olmos has a powerful on screen presence and Salma Hayek does a wonderful job of holding her ground against his disturbing character, Dominican dictator Rafael Trujillo. 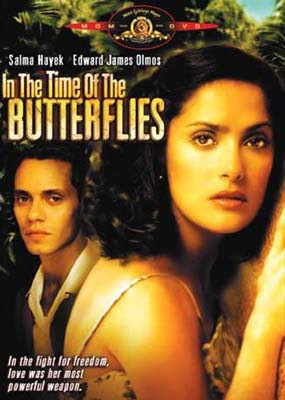 In the Time of the Butterflies is based on the real-life story of the Mirabal sisters, political activists who were brutally murdered under Trujillo's regime. And it is their story that inspired the International Day for the Elimination of Violence Against Women (November 25th).